55-2976 on air-to-air photo shoot. • 55-2976 US Army. Delivered 28-Feb-1955 to 521st Engineer Company at Crissy AAF., San Francisco. CA. • FAP-301 Air Force of Panama, Fuerza Aérea Panameña, under a Military Aid Program. Sep-1972. Accident: Crashed and written off. Details unknown. Otter 49 was one of the batch of the first six Otters delivered to the US Army, as explained in relation to number 43. Its delivery date was 28th February 1955 and it was allocated serial 55-2976 (tail number 52976). All six aircraft set off together from Downsview on 14th March 1955 on delivery to the 521st Engineer Company at Crissy AAF, San Francisco. All six Otters then took part in a survey of Alaska during the summer of 1955, returning to Crissy AAF in September '55. The following month the unit relocated to the Sharpe General Depot at Stockton, California. 52976 remained in service with the 521st Engineer Company on other survey duties until the unit was disbanded in June 1958. 52976's next posting is unknown but by January 1962 it had joined the 57th Aviation Company at Fort Sill, Oklahoma. In July 1963 it moved to Fort Huachuca, Arizona where it was based for the next five years, in use for flight training and other duties. In December 1968 it moved to the Otter Transition School at Fort Ord, California where it again served in the pilot training role. This continued until June 1971 when the School closed down and 52976's next posting was to the US Army Infantry Center at Fort Benning, Georgia. It was again used here for training and as in all its other locations was kept very busy. In April 1972 it was put into storage at Fort Benning, until August 1972 when it was flown south to Howard AFB, Panama. 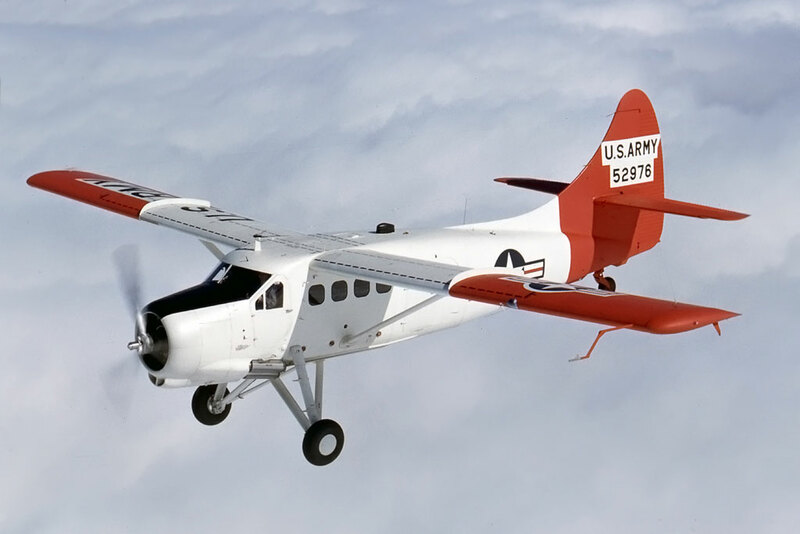 The following month, September 1972, it was one of five US Army Otters handed over to the Air Force of Panama, the Fuerza Aérea Panameña, under a Military Aid Program. The five Otters had been painted in FAP colours at Howard before being handed over, and 52976 became FAP-301 with the Fuerza Aerea Panamena. It crashed and was written off in FAP service, details unfortunately unknown. History courtesy of Karl E. Hayes from DHC-3 Otter: A History (2005).